As if natural beauty and historical sites are not enough, Croatia provides you with a chance to meet your favorite movie star on its soil. Fans of Ryan Reynolds, Salma Hayek and Samuel L. Jackson have plenty of reasons to visit Istria at the moment, as the sequel to ‘The Hitman’s Bodyguard’ is being filmed in the romantic Town of Rovinj. The filming should be of secretive nature, but there are only a few secrets that you can hide in a small town (and none of them includes a large outdoor movie set). The stars have already begun to communicate Croatia’s beauty on their social networks (love you, Samuel and Salma) and and more things are surely to come in the future. 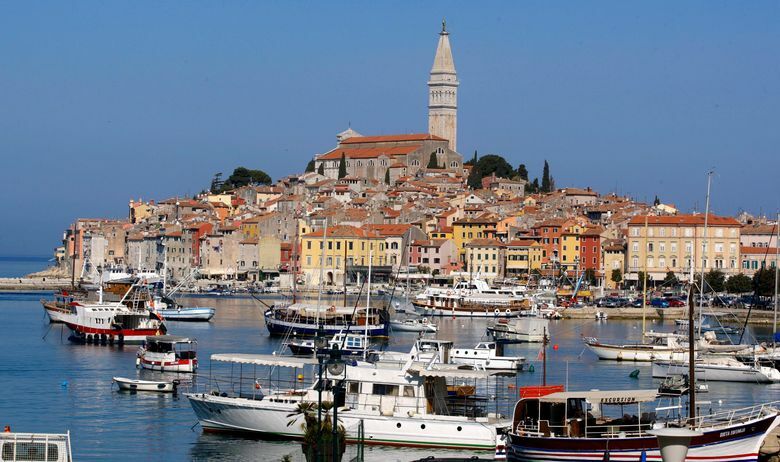 Once their work ends in Rovinj, the crew will move to country’s inland territories. From what is known at the moment, the filming will continue in Croatian Capital of Zagreb– mainly the area around Mimara Museum. The Hollywood stars are supposed to finish their project in Croatia on May 12th. This means there is plenty of time to visit the country and gain a chance to drink coffee with Reynolds, Hayek, Jackson or some other movie legend.